The World Cup 2018 has thrown up a different winner in each of the last five years with Germany, Spain, Italy, Brazil and France all taking home football’s biggest international crown. But the last time a team won back-to-back World Cups was in 1962 when Brazil followed up their triumph of 1958. You wouldn’t want to bet against Germany achieving that feat this time around but the smart money is on Brazil to win football’s highest accolade for the first time since 2002 when the team featured Ronaldo, Rivaldo, Ronaldinho and master of the 30-yard free-kick Roberto Carlos. Brazil’s fortunes might depend on the fitness of Neymar but, given the signs are looking promising that he’ll be ready to start game one, Brazil will undoubtedly gain favour when fans start World Cup betting. If he’s ready to go, he’ll form a formidable frontline that’ll include Barcelona’s former Liverpool favourite Philippe Coutinho, Man City’s Jesus and Chelsea star Willian. Neymar is still recovering from a broken metatarsal but he gives Brazil the ace striker the team has lacked for a few years. The team has also been galvanised by new head coach Tite who took over from the underperforming Dunga. Tite led Brazil through a tough South American qualification group which saw Uruguay, Argentina and Colombia join Brazil in Russia. They only lost one game during the South American qualifiers despite featuring the likes of Peru (who also made the World Cup 2018 via a playoff game) and Chile. Importantly, Tite has brought some solidarity to the team – both in mindset and approach – something they were crying out for after the 7-1 loss to Germany four years ago. 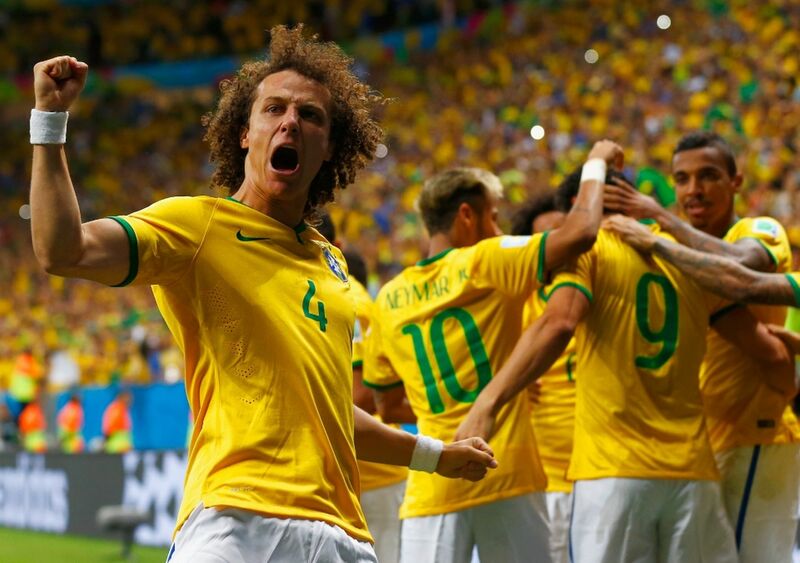 Brazil of 2018 is one that mixes the crowd-pleasing style of their playmakers with genuine steel as the likes of Fernandinho, Casemiro, Miranda and Marquinhos bring strength and guile to the pace and skill of Neymar and co.
You can argue that Brazil don’t like winning World Cups on European soil. They haven’t done so since their 1958 triumph. But they have a lot of European experience in their squad including pacey full backs – Paris St Germain’s Dani Alves, a teammate of Neymar at club level, and Real Madrid’s Marcelo – as well as goalkeeper Ederson, who just won the Premier League alongside Fernandinho at Man City. Certainly, Germany’s head coach Joachim Löw is wary of Brazil’s potential, saying the team had improved immeasurably since their mauling at the hands of the 2014 World Cup winners. Indeed, during Brazil’s impressive run to qualification, they recorded a 3-0 win over Argentina in the same Mineirao stadium where they lost to Germany 7-1 four years ago. Since Tite has taken over, the team has triumphed 13 times with just three draws and single friendly-game loss to Argentina. Brazil must navigate through a tough first round group which features Serbia, Switzerland and Costa Rica but the manner in which they recorded 12 wins on the way to World Cup 2018 qualification suggests they’ll have no trouble making the tournament’s knock-out stage. Posted on June 6, 2018 by Sammy Jakes.